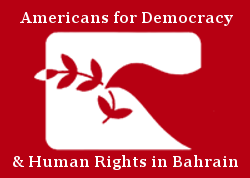 In the wake of his government’s assault on peaceful protests in 2011, King Hamad bin Isa al-Khalifa of Bahrain proposed the Arab Court on Human Rights. As an ostensible effort to demonstrate his commitment to civil and political reform during the pro-democracy uprising, his announcement should have drawn praise from an international community eager to see the advancement of human rights in the region. Instead, the announcement gave rise to a chorus of criticisms, as individuals and NGOs alike raised serious questions about the ability of the court to effectively operate. Key among these questions are the founding principles of the court. Loosely modeled after regional human rights courts such as the African Court on Human and People’s Rights, the Arab Court’s jurisdiction is not based on established international human rights law, but rather intended to follow the 2008 Arab Charter on Human Rights. These documents both have provisions that would limit key freedoms espoused in international human rights law, including most significantly the rights to gender equality and the freedoms of expression and association. Activists express concern that this limits the Court’s ability to adequately protect these rights, fearing that the Court may instead serve as another vehicle to validate abusive government behavior. In addition to the questionable standard of the laws used by the Arab Court, the proposed structure has activists in an uproar. While other regional courts accept complaints from aggrieved individuals and victims as well as their representatives, the Arab Court on Human Rights will only accept cases presented by Member States against other Member States. Individuals and NGOs cannot file complaints against Member States, devastating the court’s ability to investigate human rights abuses and implement improvements. Due to the political connections and alliances between states, it is unlikely that many cases will find their way before the court, as States will wish to protect their regional relations. Indeed, the opposite is far more likely to occur, as States may be able to use the Court to seek recompense from other States that allow citizens to voice dissent. Indeed, Saudi Arabia already has a history of such behavior, and it seems likely that a court designed in this fashion could give rise to the behavior’s proliferation through the region. International and regional human rights defenders also claim that the statute does not uphold international standards of human rights, independent procedural justice, or due process of law. A renewable five year appointment of judges greatly hinders judges’ individual impartiality, as they would rely on their national government for nominations. Along with government interference in the selection of judges, the court also fails to provide protection measures for petitioners, victims, and witnesses. Even if a case passes through these obstacles, the proposed court lacks the enforcement mechanisms to enact remedy for a victim or meaningful change in the region. The Arab Court on Human Rights will be officially created one year after a minimum of seven regional countries sign its incorporating statute, which became available for signatures in November 2014. The international human rights community hopes that Member States will take this time to reevaluate the details of the court’s structure and revise it to better promote and protect the human rights of all people in the MENA region. Brienne Kordis and Will Macintosh are interns at ADHRB.